Winners for People's Choice Awards 2016 were announced during a live broadcast hosted by Jane Lynch (Angel from Hell) at the Microsoft Theater on Wednesday, January 6th (9:00 PM-11:00 PM, ET/delayed PT) on the CBS Television Network. Furious 7 took top honors for "Favorite Movie," accepted by star Vin Diesel, while Sandra Bullock, Johnny Depp, Chris Hemsworth, Dakota Johnson and Melissa McCarthy were among the big acting winners in film. In the TV categories, The Big Bang Theory took home "Favorite Network TV Comedy" for the 4th consecutive year, while its star, Jim Parsons, nabbed "Favorite Comedic TV Actor." Grey's Anatomy scored "Favorite Network TV Drama" and Ellen Pompeo was chosen as "Favorite Dramatic TV Actress." In music, Shawn Mendes was on hand to accept the award for "Favorite Breakout Artist" and perform with Camila Cabello of Fifth Harmony, and Jason Derulo took the stage to perform a medley of his hits. And, for the first time, digital category winners were announced including Britney Spears for "Favorite Social Media Celebrity" and Matt Bellassai for "Favorite Social Media Star." People's Choice Awards 2016 featured the presentation of the fourth annual award for "Favorite Humanitarian," presented by Walgreens, to Ellen DeGeneres. St. Jude Children's Research Hospital was selected as the beneficiary of the donation. Past winners of this award include Sandra Bullock in 2013, Jennifer Hudson in 2014 and Ben Affleck in 2015. DeGeneres also won "Favorite Daytime TV Host" tying the all-time People's Choice Award winning record with 17 trophies. Waterford, a heritage brand synonymous with the celebration, is the maker of the People's Choice Awards 2016 trophy. For seven years, Waterford artisans in Ireland have designed and hand-sculpted these bespoke, sparkling crystal trophies that will have a new home with each talented winner. This year, Waterford also designed custom trophies for the "Favorite Humanitarian" and "Favorite Music Icon" categories. Ms. DeGeneres' award will feature a pop of Crimson color on the crystal, and Madonna the Favorite Music Icon, will receive a custom award with a touch of a Sapphire Blue in the center of the flame. 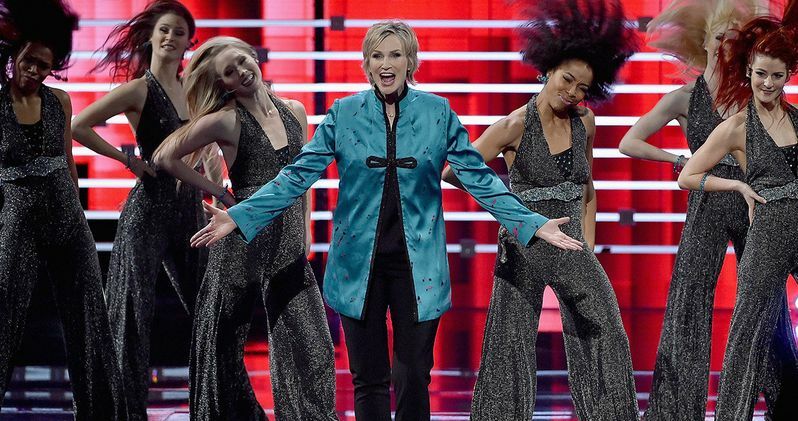 Now in its 42nd year, the People's Choice Awards is the only major awards show voted on entirely by the public for fan favorites in movies, music, television and digital. The People's Choice official website at PeoplesChoice.com houses the voting platform where fans determine the nominees and winners for the annual awards show. Every year, potential nominees are determined by national ratings averages, box-office grosses, music & gaming sales, social activity and PeoplesChoice.com data, then vetted through E-Poll Market Research.